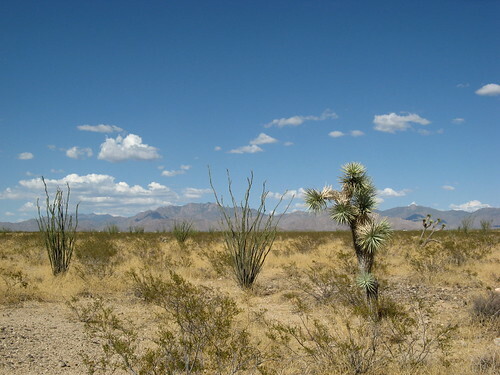 Day 1: San Jose to Kingman, Ariz. So the drive south on I-5 is about as expected: hills on one side, farms on the other. Somebody put up a bunch of signs on blank farmland blaming Congress for turning it into a dustbowl. Presumably the actual farmer was blameless. Things started getting interesting when we started seeing the Joshua trees outside Bakersfield on the way to the Mojave Desert. But mainly it’s extremely hot. Like 110-plus (best guess; I’m not sure I’ve ever been outside in heat this hot before). It’s a dry heat inside a pizza oven, too. 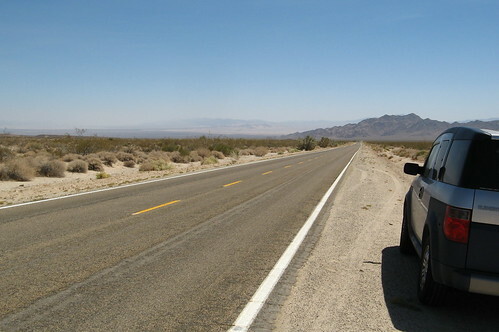 We pulled over for a second to snap a few pix on a road heading down toward Joshua Tree National Park. 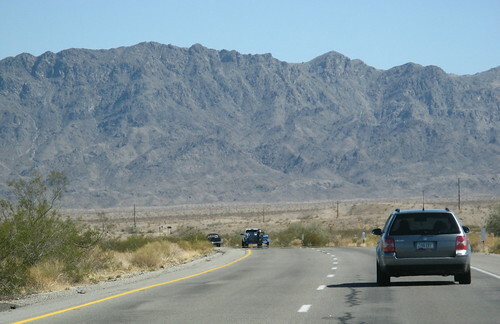 This mountain range was near the California-Arizona border. Terrain definitely gets better as you move into Arizona. Still bathing-in-a-volcano hot, but nicer looking. 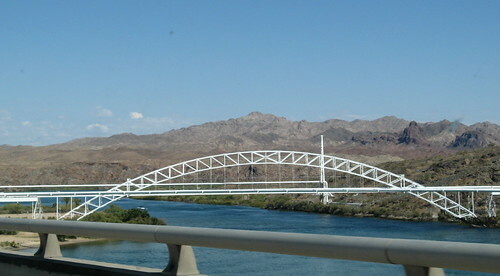 Here’s the Colorado River, the border between California and Arizona. Desert scene from a rest stop on the Arizona side. 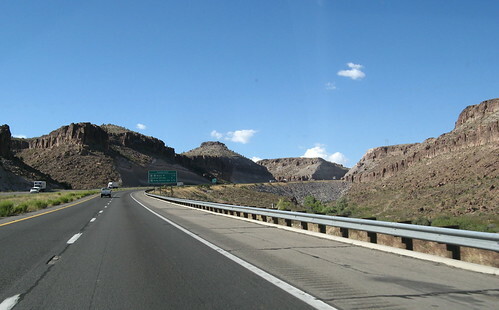 The buttes are starting to show up at as we get close to Kingman. Next stop: Santa Rosa, NM. Should be some of the best scenery of the whole drive. Aw, you missed the wild burros in Oatman! Next trip, though…Oatman’s on the very first incarnation of Route 66, just on the AZ side across from Needles. So next time out, remind me – we’ll go see some burros! Williams is a purty little place…drive safe!